I dealt with terrible acne for a decade before I found Bactrim which all but pretty much cleared my skin completely. I have now been using it for 5 years with no issues whatsoever and it still keeps my skin clear (I’m 32). I have tried coming off it but can only get down to a minimum of a quarter dosage before breakouts. The reason I’m getting off it is that I’m concerned about being on antibiotics so long. It can’t be good, even though my dermatologist is happy enough for me to stay on them. I need guidance. What should I do? I’m worried I’m destroying my body by taking antibiotics but I can’t stand having a face full of acne. I cant go accutane and washes don’t work for me because my acne is everywhere including scalp (seborrhoea). Bactrim just fully clears my body unlike any other antibiotic or treatment. Hey! I can see why you're hesitant to stay on an abx for so long, I would be too! I've battled the acne fight since the 6th grade, (I'm 26), and I finally just bit the bullet and started accutane this summer. I've just always had mild to moderate persistent acne on my face, chest, and back, and I finally just couldn't take it anymore. My only regret is that I didn't do it sooner! What I would do previously would be that I would only go on abx to clear flare ups for a few months and stick to topicals/washes other than that, and do facials and other temporary measures to keep breakouts at bay. If I were you, I would try to just go see another dermatologist and get a second opinion. Be honest that you're uncomfortable being on abx for so long and would like to try something new. Tell them 100% of what your acne is like and what you're feeling. They're there to help! For seborrhoea, have you tried a shampoo with selenium sulfide? 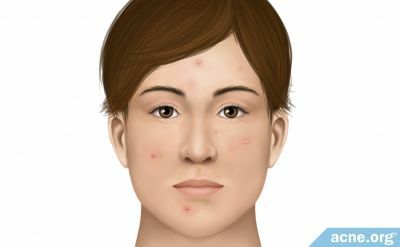 What is the reason why you can't go on accutane? Good points- I’ll get a second opinion next chance I can. We only have one dermatologist in our area and he is big on accutane. I can’t do it because I have Chrohns in my family and I’ve heard there’s a link between it. ketaconozole has worked best out of all options but ultimately because the breakouts stretch all over my body it makes it hard with topicals. have you tried weaning off of them instead of quiting cold turkey? Have you tried a topical retinoid? Accutane is just an oral version of it basically so maybe just applying it to your face would give you the benefits without the systemic problems ?